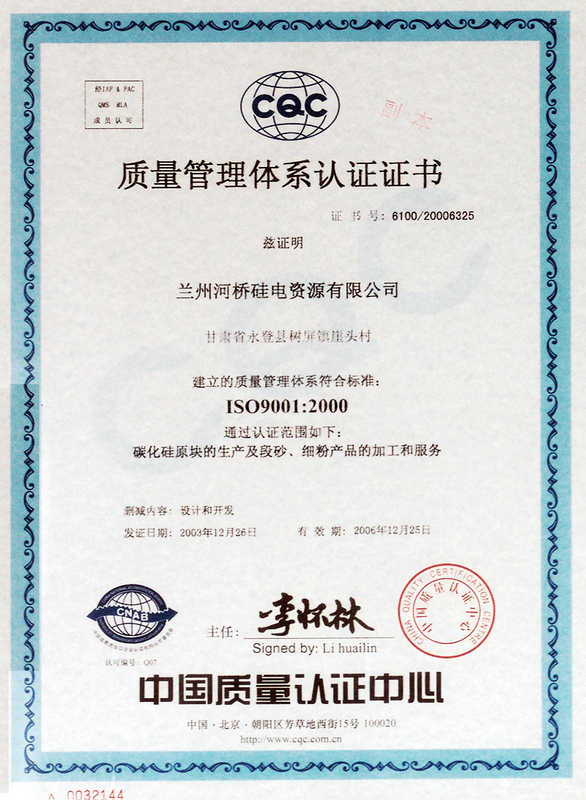 Lanzhou Heqiao Resource Co., Ltd.
Three points make our company get the satisfaction of quality from customers.They are Quality management concept;Quality management work;Quality management system. Focus on the quality of product first. Add this concept into staff's mind. 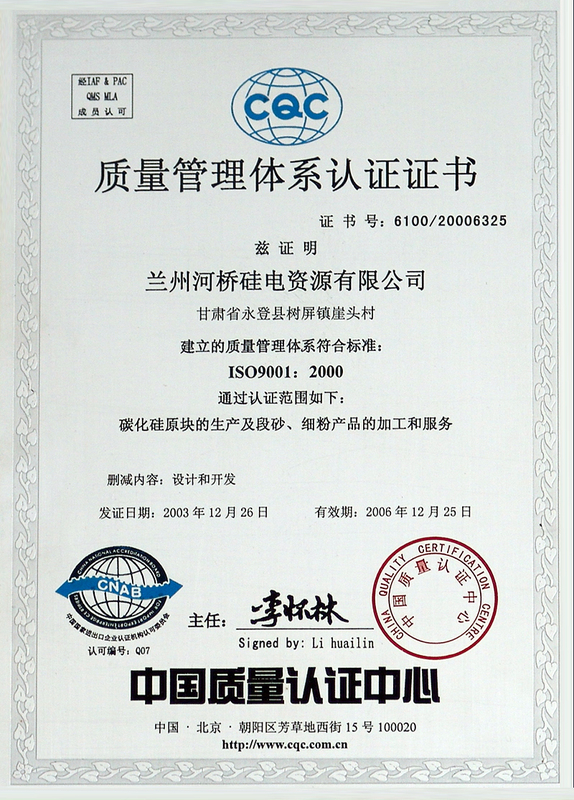 Develop from simple production to multi-production. 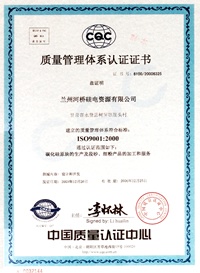 The enterprise has developed a multi-function company with variety and the requisition on strict quality control.From 1997, according to ISO --9002 international quality system standards required,we have set up the own quality management system of the enterprise and passed the authentication of China's quality system authentication centre formally in 2000. 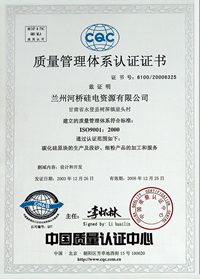 Lanzhou Heqiao Resource Co., Ltd. is an enterprise group that manufactures and exports silicon carbide.